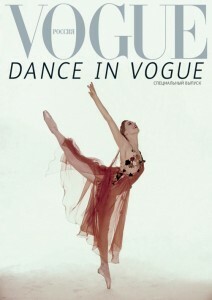 Vogue Russia published a special edition fully dedicated to ballet. The love story between fashion and ballet started a long while ago. Fashion designers sought inspiration in famous ballet shows and/or designed costumes for the stage (take Coco Chanel, for example), prima ballerinas set fashion trends… One cannot imagine the 20th century fashion without Diagilev’s Ballets Russes. All the greatest photographers – Baron Adolphe de Meyer, Cecil Beaton, Richard Avedon, Helmut Newton, Arthur Elgort – loved photographing ballet and ballet dancers for a very obvious reason – it is all beauty and magic. In this edition you will find the best of Vogue archive photographs of ballet dancers and ballet-themed photoshoots made during the 13 years of Vogue Russia‘s existence. Each picture comes with comments and notes made by ballet critics and dancers themselves. A highly collectible piece! Sneak peek: http://somethingimworkingon.tumblr.com/ Scroll down to Sept 27! Is there any way to still get a copy of this? I have a special someone who would love a copy of this! all the way from little old New Zealand.